The odds are that you or someone you know experiences heartburn. Around half of North American adults experience it at least once per month. Somewhere between 10-20% have it at least once per week! Heartburn, also known as acid reflux, occurs when the strong acid in your stomach creeps up into your esophagus. It can feel like a burning sensation; hence the name "heartburn." Other common symptoms include bloating, burping, difficulty swallowing, or a sore throat. Often there is a bitter or sour taste as well. Don't get me wrong, stomach acid is good! Stomach acid is essential for good health and optimal digestion…but when it’s repeating on you, it can feel like a bad thing. We need the acid in our stomach to protect us against harmful microbes (i.e. bacteria) that lurk in our food and drinks. Stomach acid also helps us break down our food, and digest nutrients. But we need that acid to stay in the stomach, and not get up to our esophagus! Stomach acid doesn't usually burn the stomach itself; this is because the stomach is shielded by a layer of protective mucus. Your esophagus, however, doesn't have that same protection. It has a valve that is supposed to prevent things from going the wrong way (i.e. keep food, drink, and acid down; not allow it back up). And when your esophagus is exposed to stomach acid too often, it can cause the infamous burning, inflammation, and other potential issues. I'm going to share some tips that may help you overcome your heartburn symptoms naturally. Of course, if symptoms last for a long time, or get worse, it's probably a good idea to see your doctor because there may be something else going on. You may notice that when you eat or drink certain things, you get heartburn soon afterward. 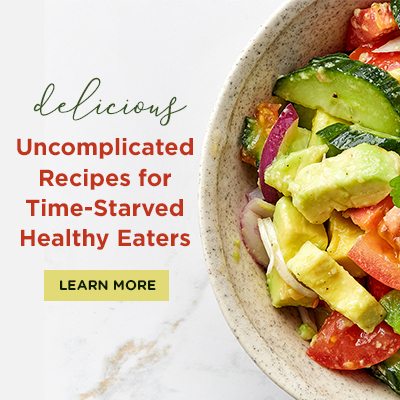 These triggers may be different for everyone; but often include onions, garlic, chocolate, citrus, tomato, mint, spicy foods, greasy foods, coffee, carbonated drinks, or alcohol. If any of these affect you, reduce them or even try cutting them out to see if it makes a difference. Heartburn might also result from a sneaky food intolerance. 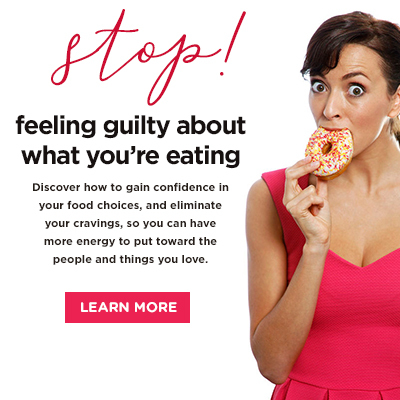 Try eliminating grains, dairy, and processed foods for a few weeks and see if that helps. Adding them back in one by one can help you identify the culprit. Try increasing fiber intake. Yes, this means more whole, unprocessed foods, especially veggies! In fact, potatoes may be a great addition to meals if you suffer from heartburn. Try getting at least five servings of veggies every day. Eat slowly. Use meal times to release stress. Start by taking a few deep breaths and centering yourself when you sit down to a meal. Chew your food very well. Portion size is also important. If you eat until your completely full, your stomach won’t have room to churn for proper digestion. It makes sense then that you might get some back up. However, if you eat until you’re 80% full (this takes mindfulness, attention, and putting down your fork between bites) you’ll increase your chances of successful digestion. And don’t eat too close to bedtime. You want to avoid lying down with a full stomach. Ideally, have your last meal 2-3 hours before lying down, so schedule your dinner or snack with this in mind. Sometimes strenuous exercise can make heartburn symptoms worse. If this happens to you, then focus on low-intensity exercises like walking, mindful resistance training, and cycling. If symptoms come on as you’re lying down to sleep, try adding a pillow or two so your head is a bit higher than your stomach. Another interesting tip is to sleep laying on your left side. Lying on your left side decreases reflux because the shape of your stomach prevents the acid from "leaking" into your esophagus. When you're lying on your left, the acid is away from the valve that connects to your throat. 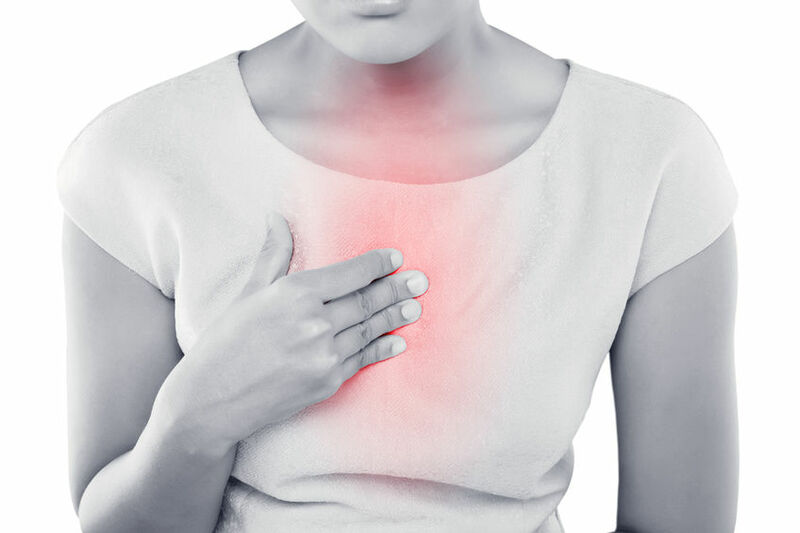 Heartburn is a very common condition where stomach acid creeps up into the esophagus (where it’s not supposed to be). If you suffer from symptoms of heartburn, there are many things you can do. There are foods and drinks to avoid and veggies to increase. You can eat slower, chew more thoroughly, and don't lie down within 2-3 hours of eating. Also, try low-intensity exercise and sleeping on your left side. Try these simple, natural strategies. They can help prevent or relieve heartburn symptoms for you. Note: If you try these recommendations and you’re still having heartburn, it’s wise to look into the root cause. Heartburn is a sign that something is off – it’s wise to find out what that is. Scrub potatoes and boil them until they're soft. How long will depend on their size, so check them by feeling how easily they're penetrated with a fork or knife. Drain the water and toss the potatoes with butter or ghee. Sprinkle with salt & pepper. Place in a roasting dish at 425F for about 15 minutes. Don’t have mini potatoes? Use large potatoes or sweet potatoes and chop them to the size of mini potatoes. Next Next post: Mindfulness and Meditation...Can They Really Improve Your Health?